The Benedetto P.A.F. is a vintage tone Patent-Applied-For (PAF) humbucker. The P.A.F. 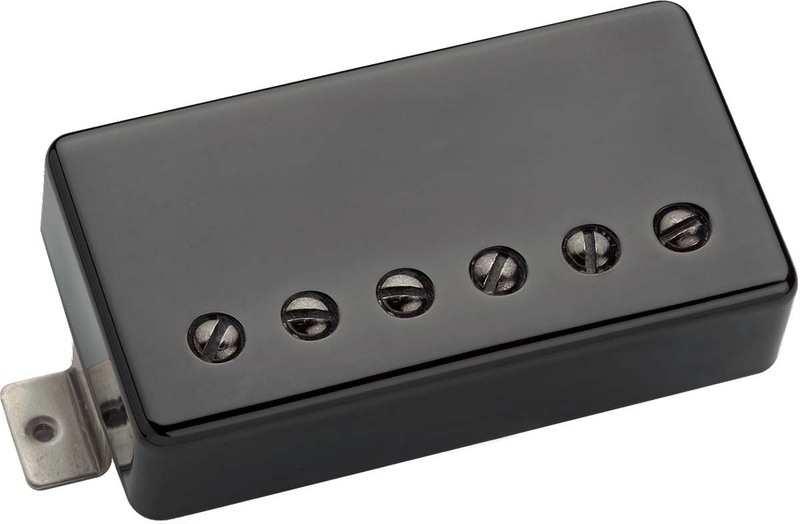 is a standard size dual coil humbucker with an Alnico V bar magnet with a single row of adjustable pole pieces and a nickel-silver black-plated cover. Can be used in both the neck and bridge positions. Commonly used in the bridge position with the A-6 Jazz model in the neck position for a jazz tone, or in the neck position with the A-6 in the bridge for a more vintage tone.